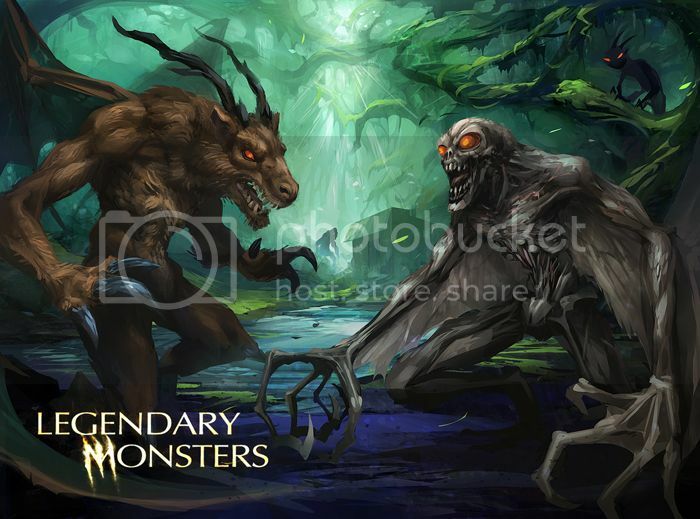 LEGENDARY MONSTERS IS BACK!!! NEW CAMPAIGN IS LIVE! Supporters; after a few weeks of redesigning and re-imagining Legendary Monsters, I’m ready for what I hope to be the final campaign! After $15,000.00 in pledges and the support of all 174 of you, I was not willing to give up. I've spent the last 3 weeks looking into a number of different possibilities, the results of which can be seen on the new page. The main change that you will notice is the collectible card aspect of the toys. I designed these specifically to move the toys into the game category where I hope they will find a more appropriate audience. The figures themselves are not changing in any way and I’m even offering 2 types of packaging to support both the toy and game market. You’ll also notice that each monster box is a flat rate of $25.00 which includes shipping and there are no variants. That possibility exists in the future, but not at this moment. I thank you personally for your support on the last campaign and I hope to start the first new figure sculpts, the first of which will be “Slenderman.” If all goes well as the next series of prototype figures will begin immediately!